Environmental Sciences Major: Soil and Watersheds Option B.S. What is the study of soil and watersheds in environmental sciences? Environmental sciences is an interdisciplinary field concerned with the interaction of biological, chemical, and physical processes that shape our natural environment. In the soil and watersheds concentration, students focus on issues surrounding soil health and watershed quality management. Students also develop a basic understanding of environmental policy, field methods appropriate for entry-level environmental science positions and geographic information systems (GIS) and learn how to communicate effectively with both scientific and lay audiences and contribute to multidisciplinary teams. 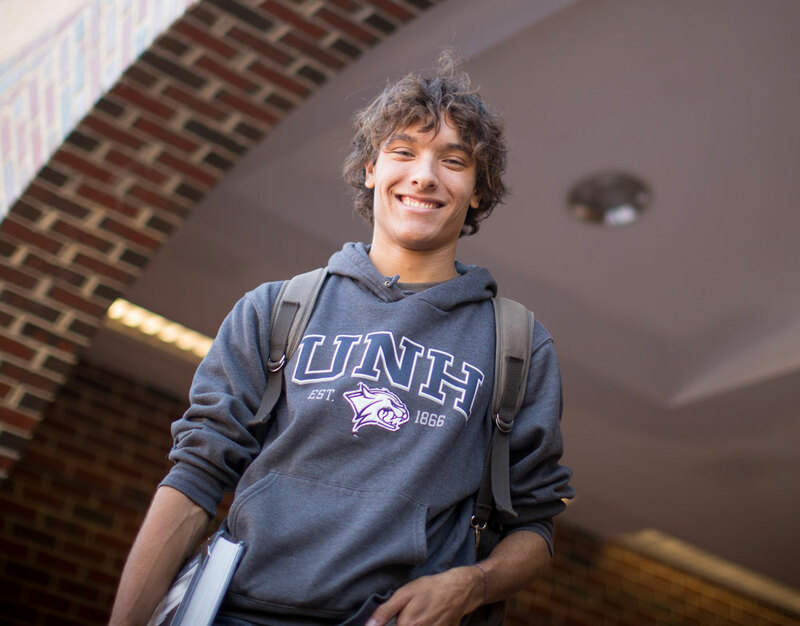 Why study soil and watersheds in environmental sciences at UNH? UNH is a recognized leader in environmental sciences research, and environmental sciences majors benefit from the significant depth and breadth of faculty expertise in the areas of biogeochemical cycling, environmental chemistry, ecosystem science, global change, hydrology, plant ecology, soil science and water resource management. Students graduate with a comprehensive skillset that prepares them for work at government agencies, environmental consulting firms, and environmental and university research labs. Students are encouraged to participate in faculty research projects and UNH’s EcoQuest study abroad program in New Zealand, and many graduates continue to master’s and doctoral programs. The College of Life Sciences and Agriculture (COLSA) and the College of Engineering and Physical Sciences (CEPS) jointly offer a bachelor of science degree in environmental sciences. Environmental science is an interdisciplinary field concerned with the interaction of biological, chemical, and physical processes that shape the environment, and control the response of natural systems to human activities. Students graduating with a degree in environmental sciences will have an understanding of these interacting processes, experience working in interdisciplinary teams to apply this understanding, and the ability to communicate effectively with both scientific and lay audiences. While in this program, students will acquire significant experience with field, laboratory and analytical methods appropriate for employment in professional environmental science positions as well as a basic understanding of environmental policy. 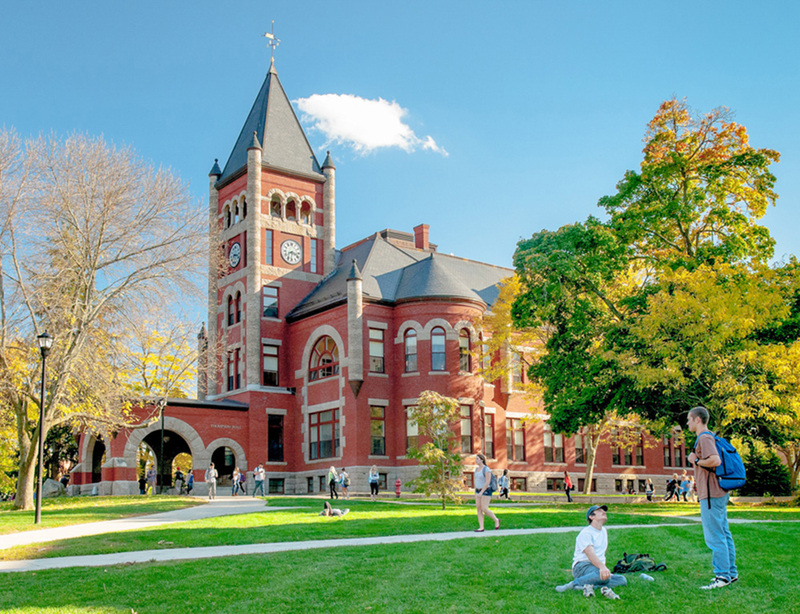 The University of New Hampshire is a recognized leader in environmental sciences research, and the environmental sciences program capitalizes on faculty expertise in this area. Program faculty emphasize teaching and research in the areas of biogeochemical cycling, environmental chemistry, ecosystem science, global change, hydrology, plant ecology, soil science, and water resource management among many other fields. Employment opportunities include environmental consulting firms; educational facilities (e.g., science centers), environmental monitoring laboratories (e.g., water treatment plants, the Environmental Protection Agency), government agencies (e.g., the U.S. Geological Survey, Bureau of Land Management, Natural Resource Conservation Service), university and government research laboratories, and nongovernment environmental organizations. The environmental sciences program also constitutes an excellent preparation for graduate programs in several areas relating to the environment. The Program has four options, and specific course requirements for the major vary by option. The ecosystems and soils and watersheds options are both managed by the Department of Natural Resources and the Environment in COLSA, and the geosystems and hydrology options are both managed by Earth Sciences in CEPS. Many students enroll in the EcoQuest program (a study abroad opportunity in New Zealand), which satisfies the policy requirement, and capstone requirement if taken senior year. NR 791 must be taken Spring semester Junior year. Capstone experience (e.g. EcoQuest, Internship) must be completed during the senior year/final 2 semesters. Xi Sigma Pi is facilitated through the UNH NREN department. Its goal is to unite likeminded individuals through service and fraternal spirit through a shared enjoyment of the environment. In addition, members receive recognition for their service by earning a cord to wear during graduation. Opportunities to take up leadership roles and give back to the NREN department are abundant.